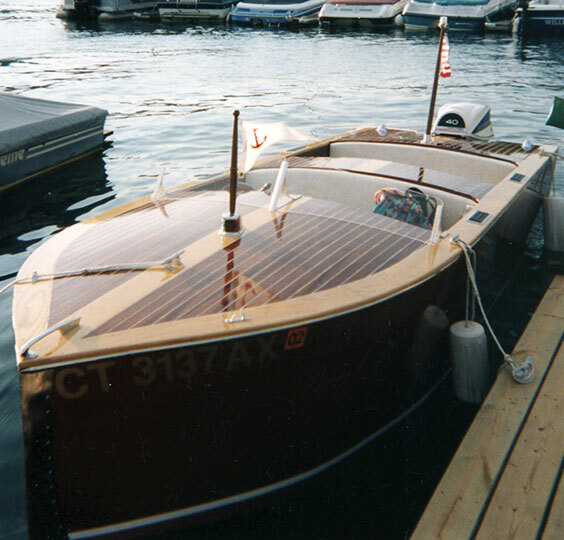 Despite choosing a career as an auto mechanic, Joseph LaBella's lifelong dream was to build a boat as a dedication to his father, who introduced Joe to boating when Joe was just 3 years old. Joe used no plans in the construction, just a scale drawing of his desired outcome. 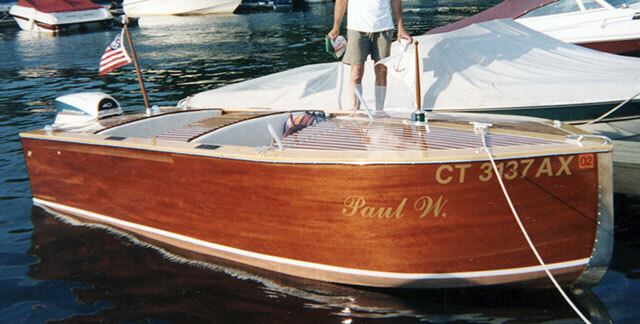 PAUL W., named for his father, is 16' x 5'5". 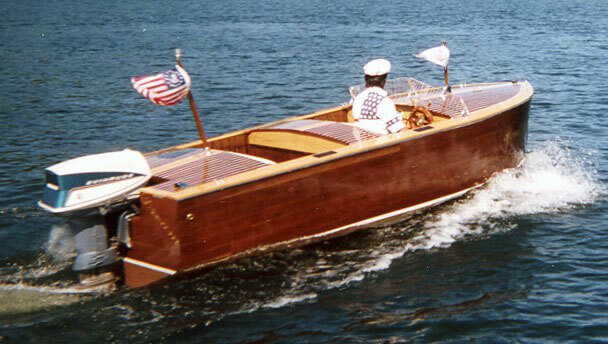 Joe used white ash for the frames and keel, kingplanks, and dashboard, 1/4" plywood for the bottom, and 1/4"plywood sides covered with 5/16" Spanish cedar planking. Though he is currently using a 1966 Evinrude 40hp outboard which gives a cruising speed of 20 mph, Joe is looking to modify the motor to increase speed. Joe spent 440 hours building PAUL W. and launched it on June 3, 2001.